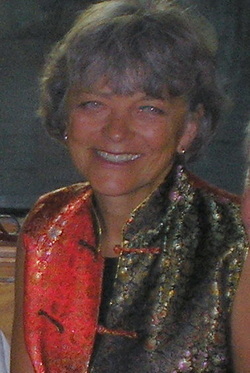 Maggie Tracey has been studying and working in the field of health and healing for most of her adult life. While earning her Master's Degree in Rehabilitation, she also owned and operated a health food store. In the mid 1980's while working in rehabilitation, she had the good fortune to meet Kam Ping Lee, a Reno doctor and acupuncturist. That meeting changed her life forever when Dr. Lee asked her to study acupuncture with him. That study fueled a passion for Chinese Medicine and acupuncture that led her to the Academy of Chinese Culture and Health Sciences (ACCHS) in Oakland, California. Upon graduation from ACCHS, Maggie continued her studies for another year. She is licensed by the state of Nevada as an Oriental Medicine Doctor (O.M.D. ), by the state of Wisconsin as an acupuncturist and by the National Certification Commission for Acupuncture and Oriental Medicine as a Diplomate in Oriental Medicine. Postgraduate work includes Dr. Tan's Balance Method and Mary Elizabeth Wakefield's Facial Rejuvenation. ​Maggie is a member of the Nevada Oriental Medicine Association, the Wisconsin Society of Certified Acupuncturists, the California Society of Oriental Medicine and Acupuncturists without Borders.